Beyond providing data for all 32 NFL teams, PFF also supports network broadcasters with game-preview packets that are used to enhance the in-game experience for fans and viewers. This Giants-49ers preview features the same information our broadcast partners use for team research and in-game production. 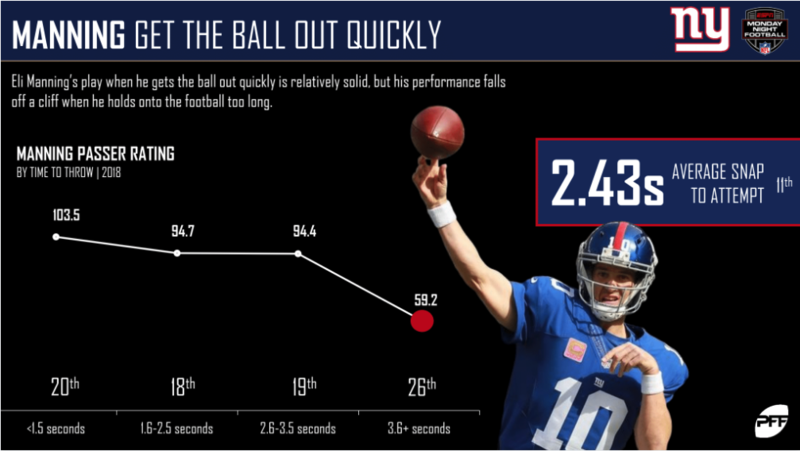 Eli Manning‘s play falls off a cliff when he holds on to the ball for too long. 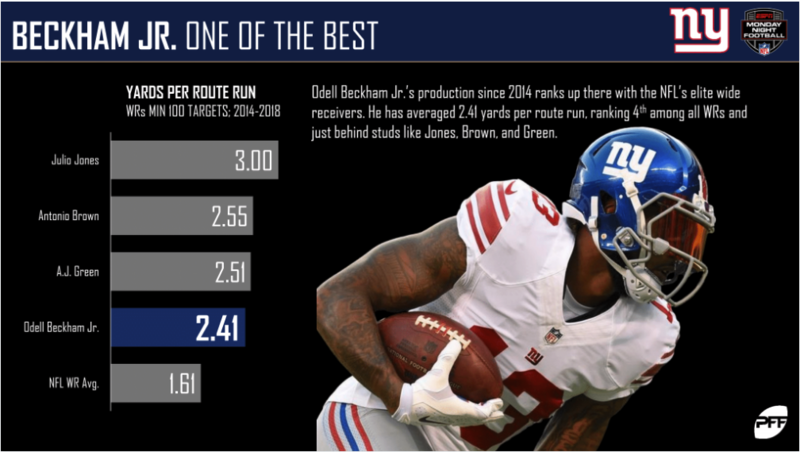 Odell Beckham Jr. has continued to put up monster numbers this year, which cements his place among the league’s best. 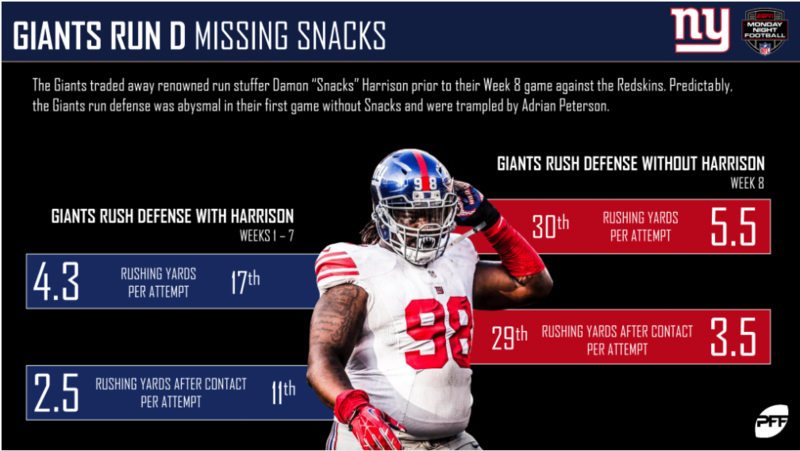 Giants’ former interior defensive lineman Damon Harrison was a force in the middle and will be a huge loss moving forward. In New York’s one game without Harrison, they allowed 1.2 yards more per attempt and also gave up another yard after contact per attempt. 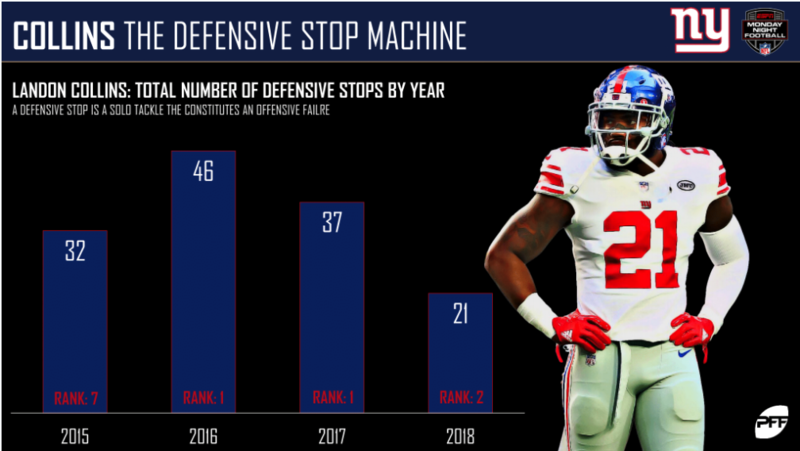 Safety Landon Collins has been his usual self this season and ranks in the top-10 in total stops among safeties for the fourth straight year. 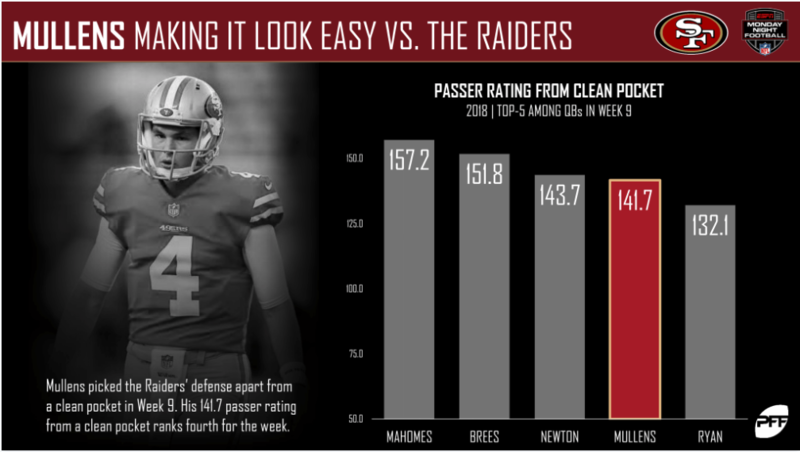 Nick Mullens posted the fourth-highest passer rating from a clean pocket in Week 9. 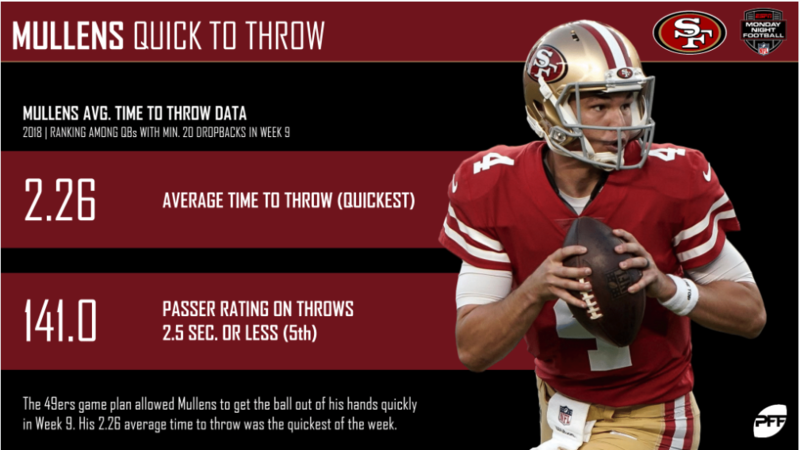 Nick Mullens did his damage last week by getting rid of the ball quickly. 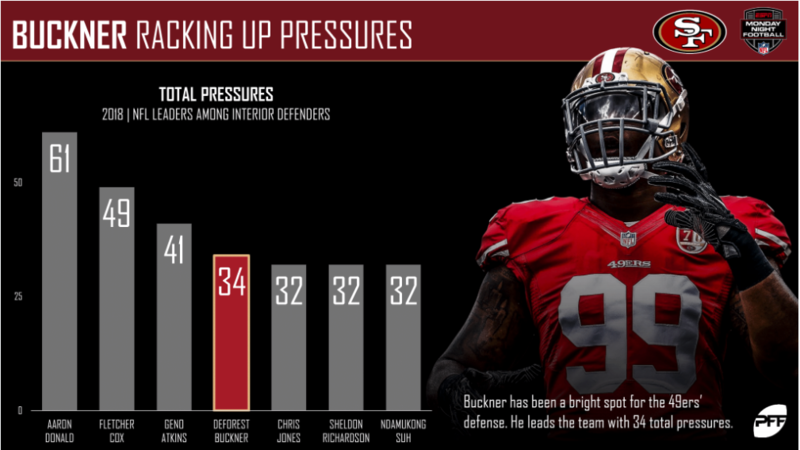 DeForest Buckner has produced the fourth-most pressures among interior defenders this year. 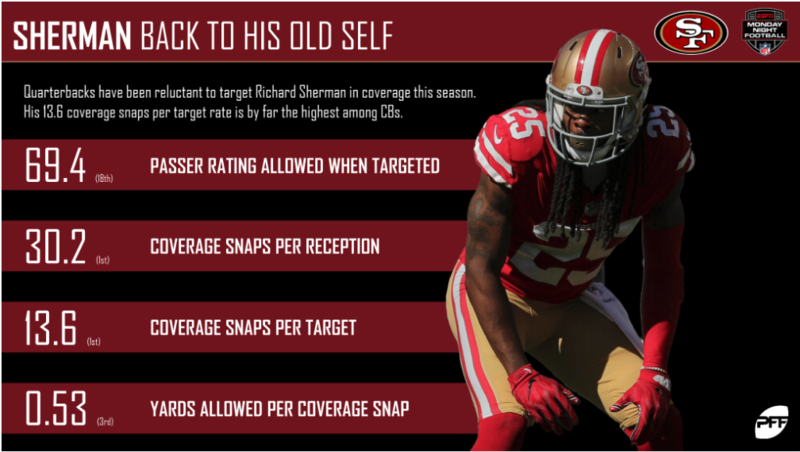 Richard Sherman continues to be in the upper echelon of players at the position. 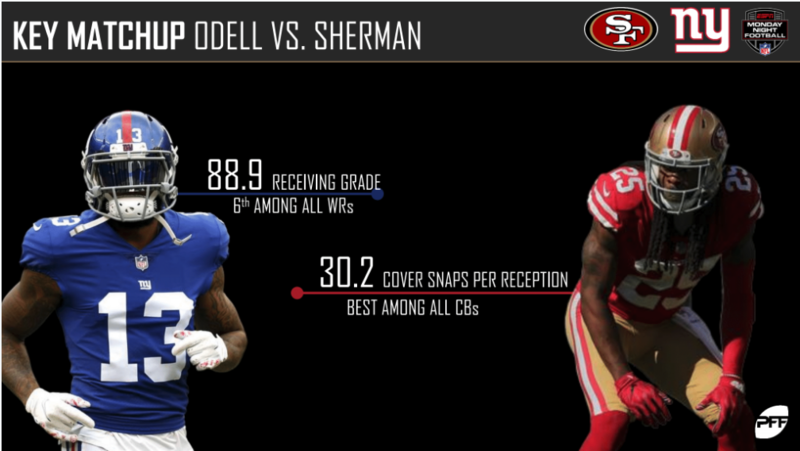 PFF Greenline has projections for the spread, moneyline and over/under of the Giants’ matchup with the 49ers. Get its picks here.